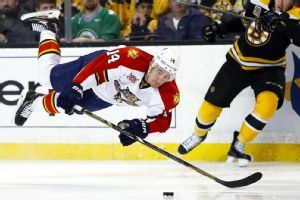 The Anaheim Ducks added an offensive piece before the trade deadline Saturday, acquiring winger Tomas Fleischmann from the Florida Panthers. Dany Heatley has been assigned to the Anaheim Ducks' AHL affiliate in Norfolk after the veteran NHL goal-scorer cleared waivers. 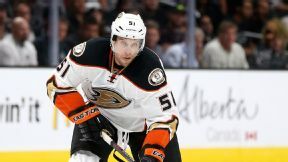 A person familiar with the decision has told The Associated Press that the Anaheim Ducks have placed veteran forward Dany Heatley on waivers. Forward Dany Heatley has been placed on injured reserve by the Anaheim Ducks. Forwards Dany Heatley and Kyle Palmieri will miss the start of the Anaheim Ducks' season because of injuries. The Anaheim Ducks have signed left wing Dany Heatley to a one-year deal, returning the 33-year-old unrestricted free agent to the Pacific Division. San Jose Sharks general manager Doug Wilson is wasting no time making changes after perhaps his team's most crushing playoff collapse. 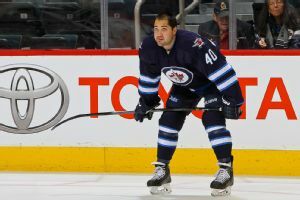 CHICAGO - The Minesota Wild had three goalies on the ice for their morning skate on Friday, none of whom were rookie Darcy Kuemper, who remains day-to-day with an upper-body injury suffered in Game 7 against the Colorado Avalanche.